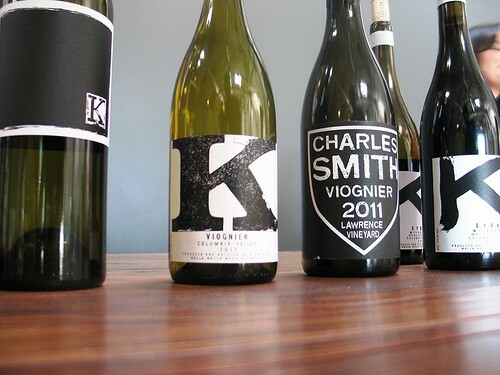 As a Portland, Oregon resident, I’m an active participant in the Pacific Northwest wine scene. But it took me till this summer to visit the place people have been recommending for years: Walla Walla, a small town in rural southeast Washington state surrounded by miles of farmland (no, really: it is a four-hour drive to Boise, Seattle, or Portland). After finally making the trek, I can answer honestly: is it worth the long drive? Yes. Is it a town so nice it was worth being named twice (the local saying)? Yes. Downtown wineries: most of the city tasting rooms are all within a 10-block radius, placing them in easy walking distance. DaMa Wines, led by a group of female winemakers, and the family-run Lodmell Cellars are worth a visit. West and South wineries: you’ll have to drive to these wineries, but you’ll be rewarded with wonderful views like those at Amavi Cellars. Here, tasting rooms are typically on site at the vineyard. At Balboa Winery, I picked up a bottle of 2011 Mith, a proprietary Cabernet Sauvignon, Merlot, and Cabernet Franc blend you won’t find anywhere else (though you can buy it through Balboa’s website). Airport wineries: Yup, there is a tiny airport in Walla Walla, and many of the old military barracks are now winery tasting rooms. I recommend a visit to the airport wineries because this is a wine country experience like no other—in fact, Revelry Vintners took the crown as my favorite overall winery in Walla Walla. Their Block 19 Syrah is everything you want in a Syrah and more. It goes without saying that you need to stay hydrated (in summer, temperatures often hit 100˚F) and pace yourself. Plan to stay in one area each day, and just pick a couple of wineries to explore—you’ll no doubt pick up recommendations or stumble onto something new while you’re in town. 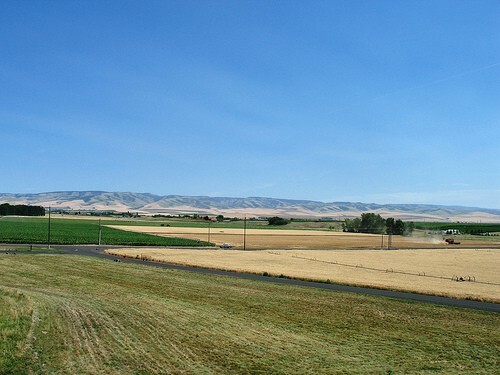 The Walla Walla viticultural area was officially settled in 1984, though winemakers have been setting up shop here since the 1970s, removing many of the apple orchards in favor of more profitable grapevines. Personally, one thing I like about the wines being produced here is that the whole area embraces a ‘quirky’ culture, so you’ll find interesting varietals and blends you won’t find elsewhere—like those produced by Syzygy, a winery that takes its name and philosophy from “the moment of perfect alignment between three celestial bodies, such as that occurring during a total solar eclipse.” Having said that, Cabernet Sauvignon is by far the dominant grape (approximately 41 percent of the planted area). 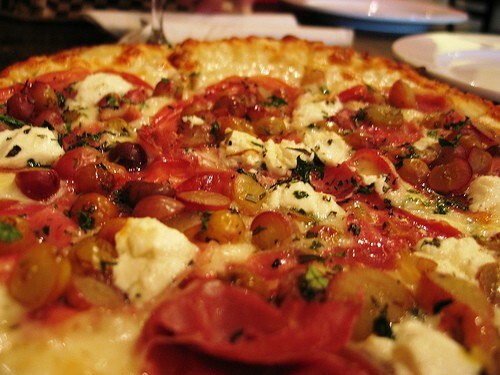 Where there is wine, good food seems to follow suit, and Walla Walla does not disappoint. The town’s two most-lauded menus—seasonal farm-to-table fare at Whitehouse Crawford and French bistro standards at Brasserie Four—are both deserving of a Michelin star if those kind folk were to ever visit town. But even lower-key spots hold their own quite nicely, such as the Neapolitan-style pies at Sweet Basil Pizza (great to take back to your hotel or rental apartment) or Olive Marketplace, a cafe with local cheese, seafood, charcuterie, and coffee as well as an in-house bakery. The area doesn’t have a lot of hotels, so booking in advance is not a bad idea—try one of the luxury downtown apartments at Walla Faces or a room at the B&B at Girasol Vineyard. This is not Seattle, it’s eastern Washington (that is, it’s on the dry side of the Cascade mountain range). Check the weather before you go and pack accordingly. If you plan on flying, take advantage of Alaska Airline’s Wine Flies Free promotion and bring a case of wine home with you. Based in Portland, Oregon, Andy Hayes is the founder of Plum Deluxe, a community of friends and family who enjoy life’s luxuries big and small. Connect with him on Facebook or Pinterest.